We look ahead to London art and exhibitions, museum and gallery openings for April 2019 and select our must-see exhibitions in a spring of culture in the capital. Image courtesy Museum of London. Why have people tell you the history of London if you can get animals to do it? An immersive exhibition shows how lions, elephants and the humble pigeon shaped our capital. 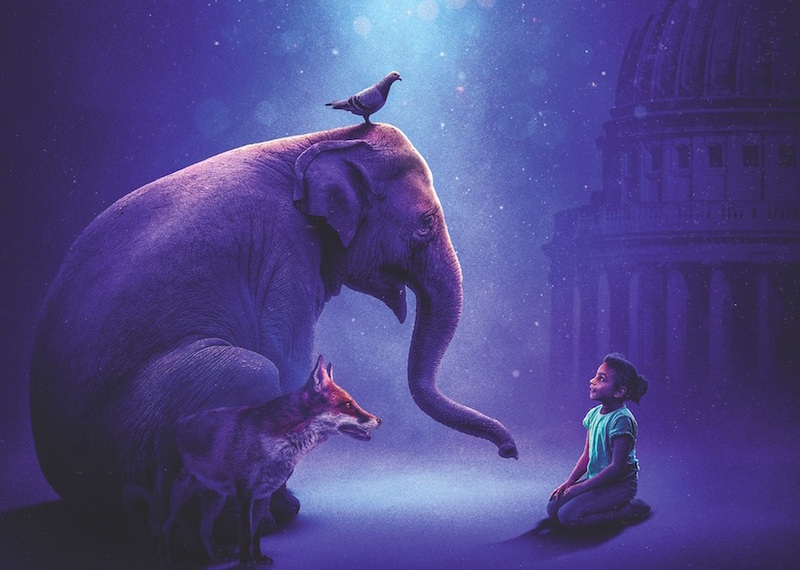 Rabbits, rats and foxes re-tell London's story with some star names voicing the creatures, including Brian Blessed and Kate Moss. Read our full length preview for more details. Beasts of London at Museum of London. 5 April-7 January, £11 for adults, £6 for children. Quant has become known as an iconic figure of 1960s London, synonymous with miniskirts and colourful tights. However her impact on the British fashion industry went deeper than that — she harnessed new mass production techniques that revolutionised the high street and made fashion more accessible. This exhibition focuses on the years 1955-1975, beginning at the opening of Bazaar — her fashion boutique located on King's Road in Chelsea — and following her transformation into a wholesale fashion brand. It also covers her personal story, who she was and how she became an icon. Mary Quant at V&A. 6 April 2019-February 2020, £12. What would it be like to walk on the moon? Until Elon Musk gets us there, the closest we're going to get is this virtual reality (VR) experience created by artist Antony Gormley and Dr. Priyamvada Natarajan. 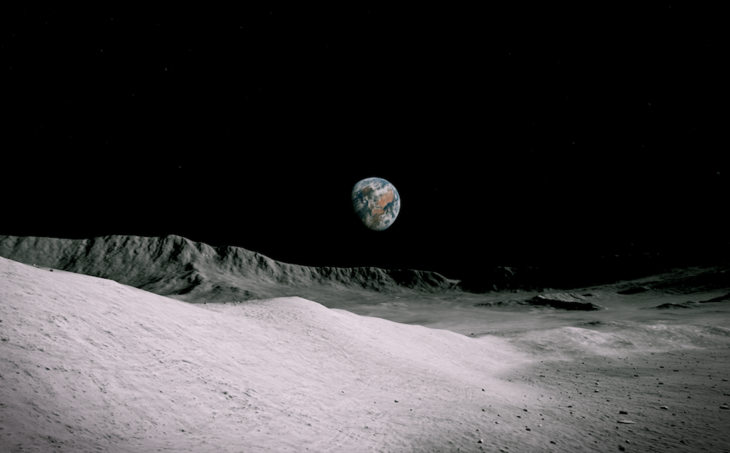 It uses NASA data and has been pulled together by VR art experts Acute Art, to give a realistic portrayal of the lunar surface. It's one small step for a Londoner, one giant leap for art. We recommend booking ahead for this one as tickets will sell fast. Lunatick by Antony Gormley & Dr. Priyamvada Natarajan & Acute Art at 180 Strand. 5-25 April, £5. When it comes to virtual reality (VR), Anise Gallery near Tower Bridge has led the charge by making VR an integral part of each of its exhibitions. But why should adults have all the fun? 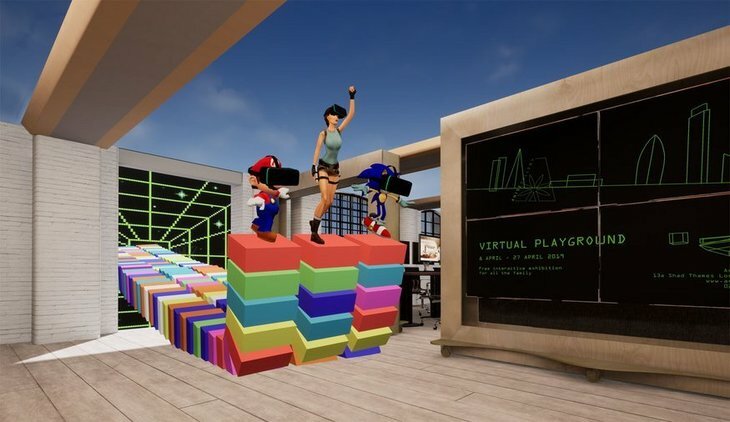 Their latest show is aimed at families where it uses VR technology to uncover the history of gaming from Pong and Asteroids to Super Mario Brothers and Doom. Expect an abundance of entertainment, just watch out for those fireball hurling imps. Virtual Playground at Anise Gallery. 8-27 April, free. Everyone knows Edvard Munch for his famous Scream — no other artwork has inspired a Halloween costume, an emoji and become the symbol for the age of anxiety we're living in. 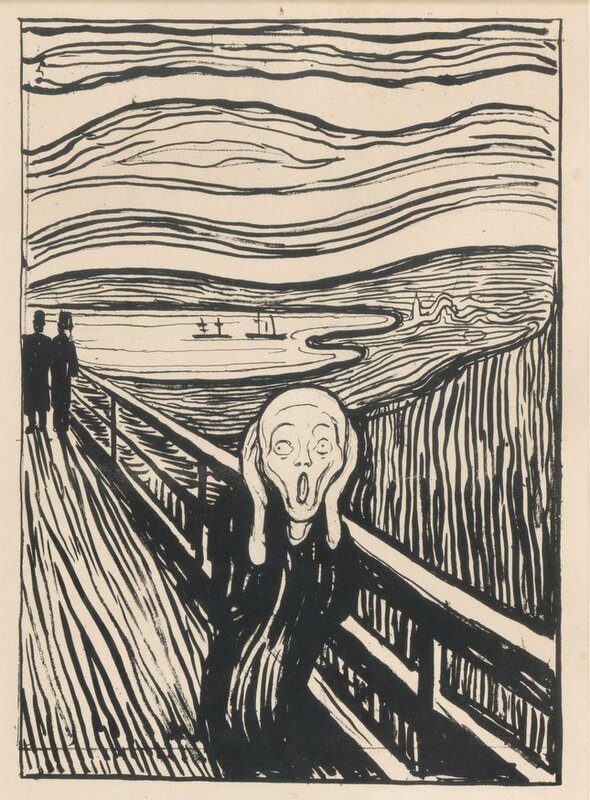 A version of The Scream is coming to London for this British Museum exhibition, but Munch wasn't just a one hit wonder. He was a wonderfully expressive artist and this exhibition will focus on his printmaking and the surreal visions he created. We are very Munch looking forward to this (sorry). Edvard Much: Love and Angst at The British Museum. 11 April-21 July, £17. Why do magic tricks leave us baffled? It's all to do with the way we perceive the world around us, and magicians manipulate this to make us think they've magically guessed our card or made a ball disappear. Wellcome Collection puts on an exhibition breaking down the psychology of magic and the supernatural to explain how it all works. Here's hoping that no magicians are in trouble among their peers for revealing their tricks. 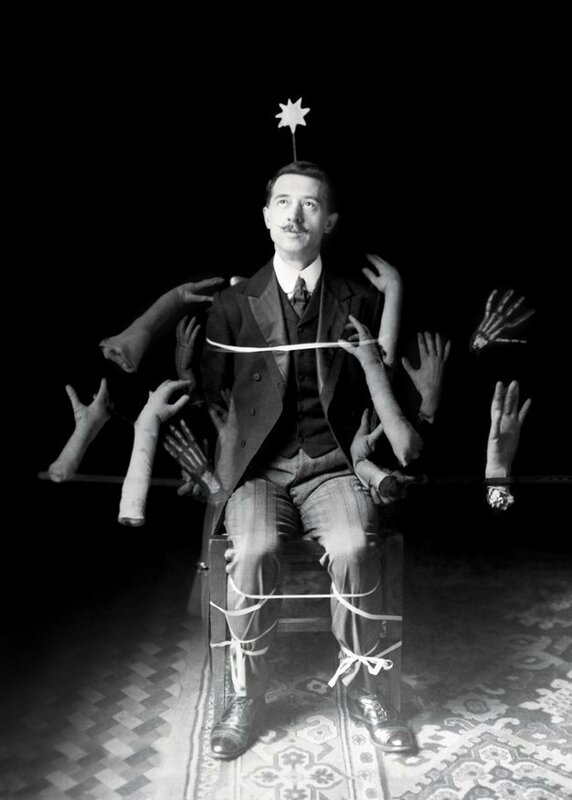 Smoke and Mirrors: The Psychology of Magic at Wellcome Collection. 11 April-15 September, free. 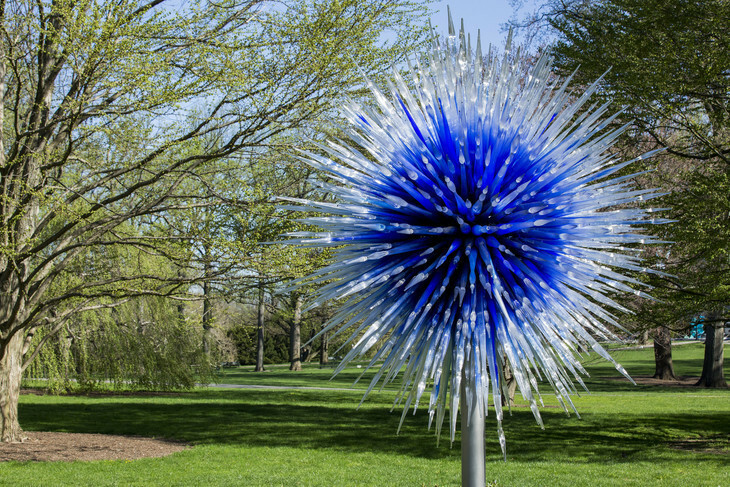 The great Dale Chihuly's mind-blowing glass sculptures return to Kew Gardens in April — 'blooming' in flower beds, lakes and glasshouses. His bright colourful forms writhe and expand as if they are living creatures — you may have seen one of them hanging in the main entrance hall of V&A. Given the organic nature of his work, placing 32 of these sculptures around Kew Gardens feels like a natural fit. Read our full preview for more details. If you're going to an exhibition about portraits, which artists do you want to see featured? 'How about every artist of note', is the resounding answer from Gagosian Gallery. Pablo Picasso, Francis Bacon, Jean-Michel Basquiat, Cindy Sherman and Jenny Saville are all be in this portrait masterclass of a show. The famed Rembrant from Kenwood House also travels to this who's who of portrait artists. 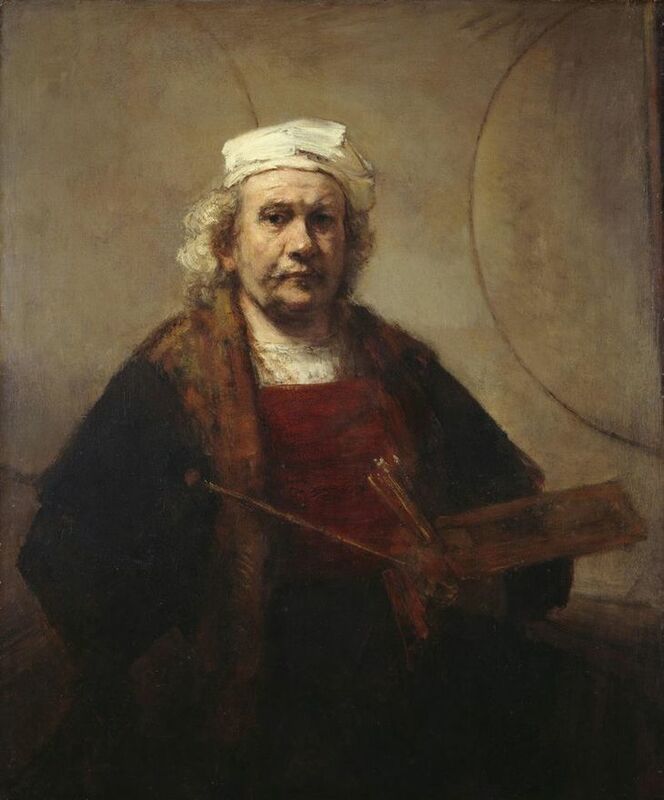 Visions of the Self: Rembrandt and now at Gagosian, Grosvenor Hill in partnership with English Heritage. 12 April-18 May, free. 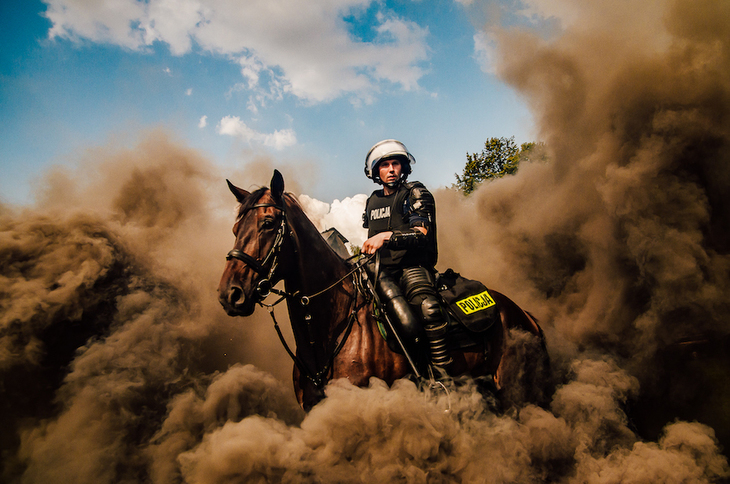 Every year the Sony World Photography awards blows our minds. Whether it be stunning images of landscapes or big political stories, including some heartbreaking ones. It's a fixture in London's cultural calendar and with over 800 images on display it's guaranteed to continually wow in every room. Photography at its finest. 2019 Sony World Photography awards exhibition at Somerset House. 18 April-6 May, £10-14. Mozart's complete works. Copyright British Library. Writing is something we all take for granted, but how did it originate and evolve over time? The British Library takes us on a journey from hieroglyphs to today's digital world where the written form is under threat. 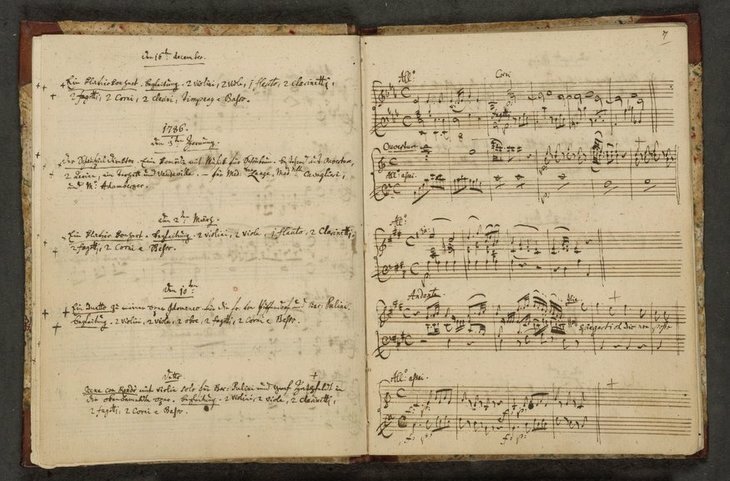 History is contained in the notes of Alexander Fleming and the compositions of Mozart. For obvious reasons writing is central to the British Library, so expect a heartfelt exhibition dedicated to the vital form. Writing: Making Your Mark at The British Library. 26 April-27 August, £14. 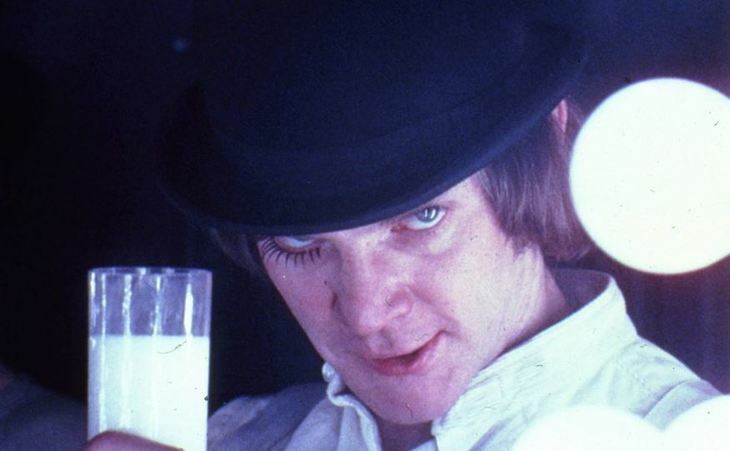 Whether it be a spaceship gliding through space to or Malcolm McDowell drinking milk, Stanley Kubrick has created some of cinema's most iconic moments. Design Museum brings together props, costumes, set models and photographs to take us behind the scenes of the genius' creations. Plus. who can resist a selfie poking their head through that famous bathroom door that Jack Nicholson axed through in The Shining? Read our full length preview for more details. It's not all blockbuster exhibitions, there are plenty of exciting shorter run events happening too this April. A snap from the last Roy's People Art Fair. 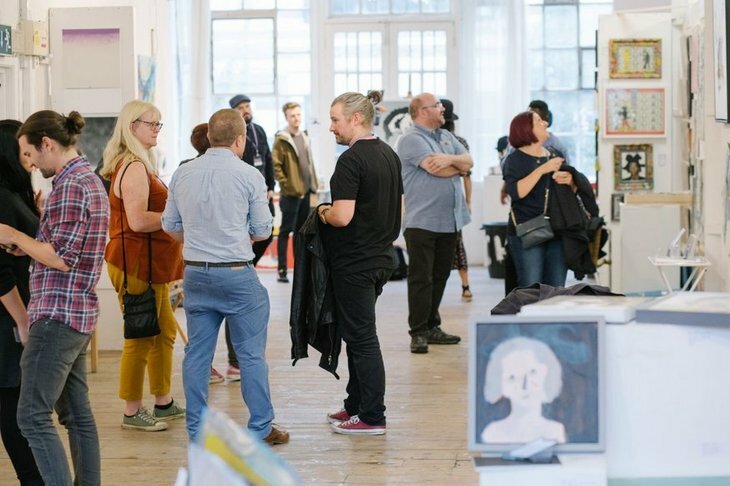 Two art fairs to look out for this month with the fourth edition of Roy's People Art Fair at Oxo Bargehouse (4-7 April, free). Find fantastic emerging artists and buy direct from them before they make it big. If more established names tickle your fancy then the London Original Print Fair returns to Royal Academy of Arts (25-28 April, £12) with editions by the biggest names out there — like Picasso and Matisse — to some lesser known artists. A shot from the last Now Play This. Photo: Tim Bowditch. Somerset House plays host to two major events including Earth Day Season 2019 (16-29 April) where a whole suite of events, art installations and films will be tackling climate change and humanity's impact on the world around us. Earlier in the month Now Play This (6-14 April, £8) returns to the former palace, an awesome collection of experimental games that's always a blast. 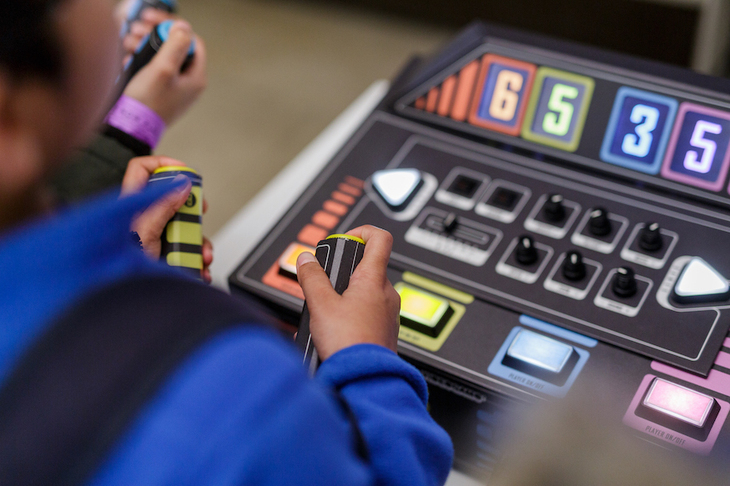 Sticking with gaming, Science Museum once again welcomes Power Up (6-22 April, £8-18) for the Easter holiday season. 40 years worth of gaming contained in one large room means you can flit from Pong to Minecraft, Mario Kart to multiplayer Halo. A production photo for Clod Ensemble's latest work. Copyright Hugo Glendinning. 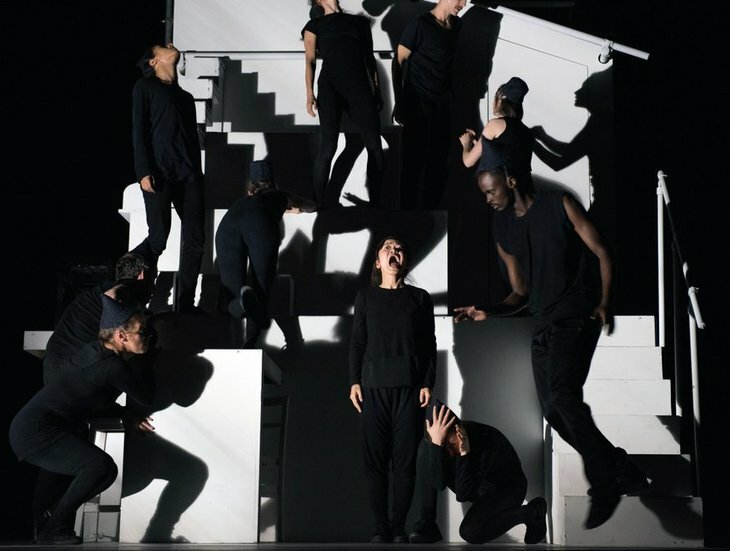 Art/dance/theatre collective Clod Ensemble are back with their latest performance — On The High Road (Southbank Centre, 24-25 April, £18-24). A group of disparate individuals are stuck together riding out a storm but what will happen when these strangers are forced to remain in close proximity. Clod Ensemble are yet to disappoint dazzling audiences as they create moving sculptures through their bodies.